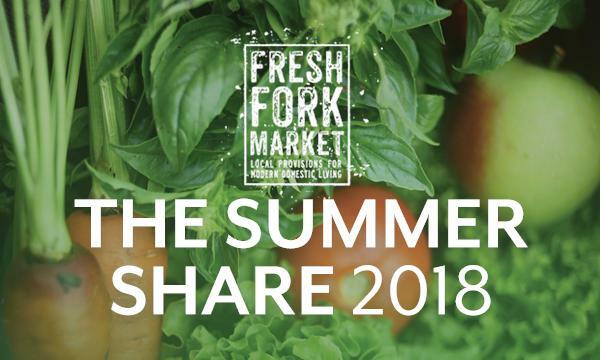 It's time for Week 2 of your Summer Share! If you're new to the share this week, you might want to take a peek at last week's newsletter: find it here. Step 1: As soon as you get home, take everything out of your bag. Take everything out of your bag and set it out on the counter. 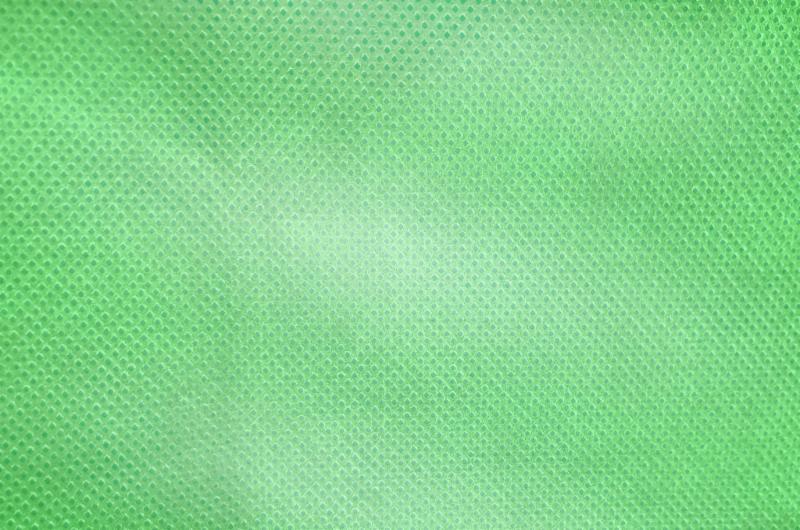 Most produce items require just a cold rinse, a good dry, and then wrapping in loose paper towels and placing inside a plastic bag in your crisper drawer. Remember these are super-farm-fresh-- some items were harvested only hours before you get them in your share-- so a quick scan to remove any dirt or bug hitchhikers is a good move. Only wash berries right before you plan on eating them-- best way is to give them a quick (30 second) soak and swish in some cold water mixed with a few splashes of white vinegar. Tomatoes & melons (before they're cut) should stay out on the counter. Squashes, potatoes and onions should be stored out of direct sunlight and do not require washing right away. Separate roots/bulbs from their greens (carrots, radishes, turnips, beets, etc.) and store separately to keep crisp. If you know you won't be using something right away (this week), you can blanch it (quick dunk in boiling water then ice water for equal amounts time, dry well) for freezing. Click here for more information on blanching times for produce. And if you're looking at it all on your counter, and you're not totally sure what an item is, check out our pictures of the bag contents that we post online every week on Wednesday afternoons. Click here for that link. Step two: Eat the most perishable items first. Eat lettuces, tender greens (sprouts, cilantro, basil), berries, and more fragile vegetables (ramps and thin asparagus) first-- within the first day or two. Make a habit of having a big salad for dinner on the day you pick up your share. Berries also fall into this category-- enjoy them within the first day or two of getting your share. If you're not going to eat your berries right away, wash them, remove any tops or hulls, and lay them on a cookie sheet in an even layer. Place tray in freezer. When totally frozen (1-2 hours), pour them into a labeled freezer-safe container and enjoy within a few months. Step three: Prepare the least familiar items next. Don't be scared of your vegetables! Attack that Kohlrabi and Tatsoi head-on with dinner or lunch the second or third day after you pick up your share. If you let them sit in the back of your fridge, you will likely forget about them and not make the effort to learn a new recipe. In every newsletter at the very bottom we include recipes to help you prepare everything in your share. We also have lots of resources and recipes on our website and on our Pinterest page if you need more ideas. Step four: Enjoy the most familiar items last. Anything you know how to prepare quickly and easily for a last minute dinner should be used last--broccoli, spinach, green beans, etc. You're in no danger of letting it go bad in the crisper drawer, and that way you know you've got some goods to use throughout the week! A great trick is to keep a small, erasable white board on your fridge. Write down everything you have ("Eggs, Yogurt, Ramps, Chicken Salad, Broccoli Soup, Carrots, etc.") so that you and everyone in your household knows what's still around and needs to be eaten. Want to learn more about cooking without a recipe? Check out this great cookbook, "Salt, Fat, Acid, Heat: Mastering the Elements of Good Cooking". Featured Instagram post of the week from @plantfueledandfit . We love seeing your dinners, your dogs carrying your share bags, and your kids measuring and counting your eggs-- please keep posting! 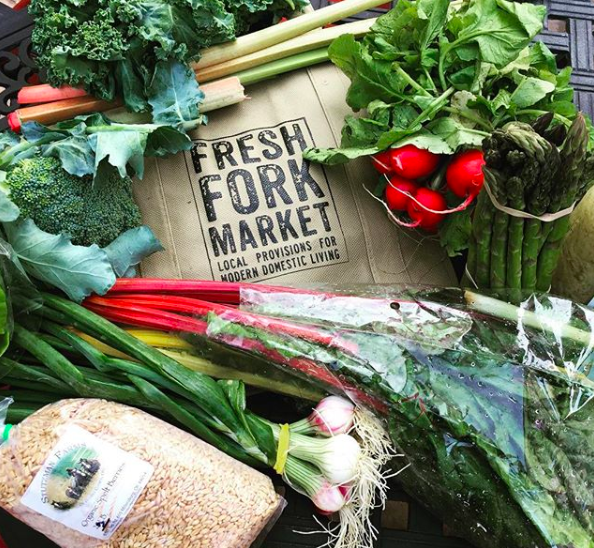 We're going to feature one Fresh Forker image every week in our newsletter, so thanks @plantfueledandfit and everyone else who posted this week! Spinach : The first spinach of this season! Remove any of the longer stems and discard (unless you're using it in a smoothie or soup, then you can just blend them up, too.) Wash well, and then the quickest way to prepare is a mini steam-- without drying after washing, just add it to a skillet over medium-high head and cover with a lid. Cook for just a minute or two, then stir to wilt. Add some oil, lemon juice, salt and pepper. You can also sauté the leaves with some minced garlic and oil--just stir often to avoid burning. Asparagus : will just be in a few of the bags this week, so we hope you found some tasty recipes! If you want something new to try, you can steam it for just a minute or two and chop it up and add to simple a quiche-- try it with minced ham or leftover kielbasa or some salty cheese, add a dollop whole grain mustard and a pinch of salt into the eggs and milk or cream, then bake! 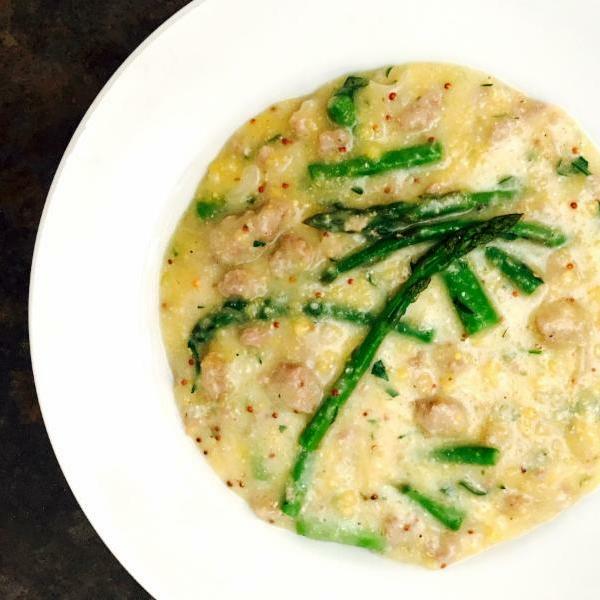 Or this " Absurdly Addictive Asparagus" looks pretty tempting, too. Green Onions : Some of you got this last week as a sub for the bunching garlic, but this allium can be minced and added to all sorts of things for a flavor boost-- mash it into cream cheese for your veggie bagel sandwich, toss into chicken broth with noodles and greens for an easy dinner, add to dips or salsas-- endless options! Lettuce : Another head of lettuce this week, some of you will have hydroponic and some will have field-grown. Remember to make that big salad on night 1 when you pick up your share. Rhubarb : has a short season, but it's right now so we are going to use it up until it's gone for the year. If you don't know what to do with it right away, just chop it up and roast it with some hulled strawberries. Purée with some sugar (or maple syrup or honey), and cool. Freeze till you're ready to bake with it. For a savory take, try Parker's Rhubarb-Onion Jam that he serves with pork chops. Strawberries : If the people who live with you and sit in car seats haven't totally devoured the strawberries by the time you get home, make sure everyone gets a couple the first night. Seriously, though, enjoy these gorgeous strawberries within the first day or two of picking up your share. 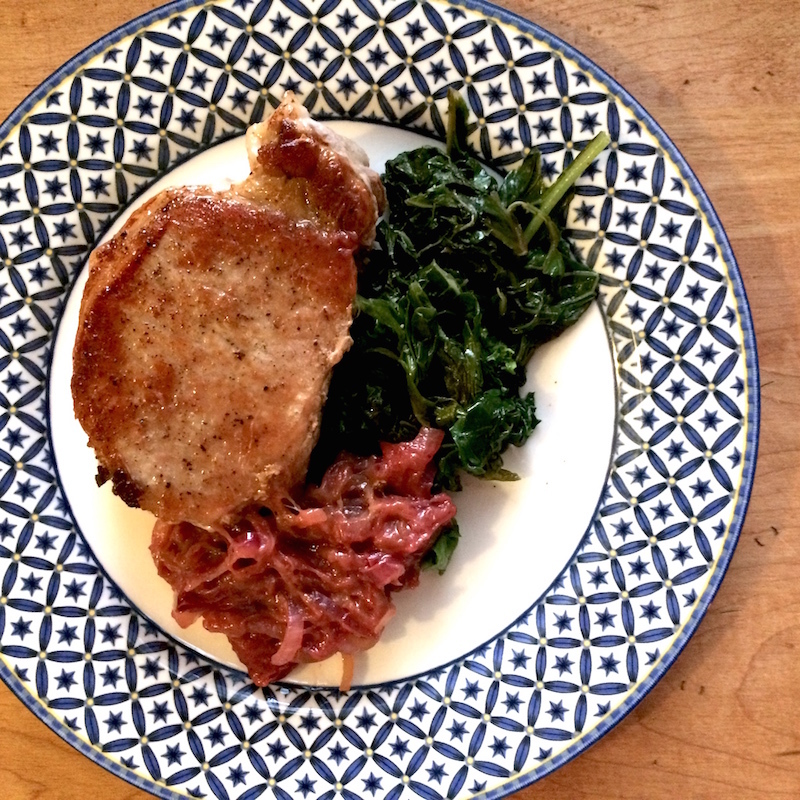 Pork Chops: All the Omnivore Shares will be getting a pack of two juicy, thick-cut pork chops. Could not be simpler to cook-- add a little salt and pepper to each side. Melt some butter or oil in a cast-iron (or other oven safe) skillet and sear on each side for 3 minutes. Pop in 350 oven to finish, just about 10 minutes until firmed up but not hard when you poke the center. Parker adds a touch of honey to the top right when they come out of the oven. Can also be grilled, or if you're feeling fancy, check out our Stuffed Pork Chop recipe. 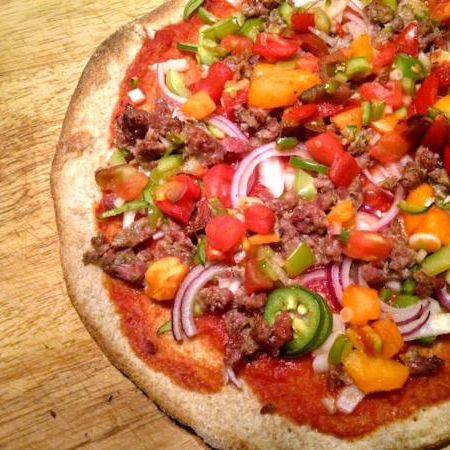 Pizza Dough: A two-pack of whole wheat pizza dough made down at Wholesome Valley Farm. Contains whole wheat flour, yeast, kosher salt, honey, sunflower oil and water. For our Pizza Guide, click here . Vegans who do not keep honey-free: if you would rather have the pizza dough instead of the sunflower oil, just ask your Greeter for a swap. Mozzarella Cheese: 8 ounces of shredded mozzarella cheese made down at Paint Valley Creamery with Guernsey Milk. Tomato Sauce: a pint of traditional tomato sauce made with all our locally-grown tomato 'seconds', herbs and oil. Sunflower Oil : a 12 oz. bottle of locally-produced sunflower oil. 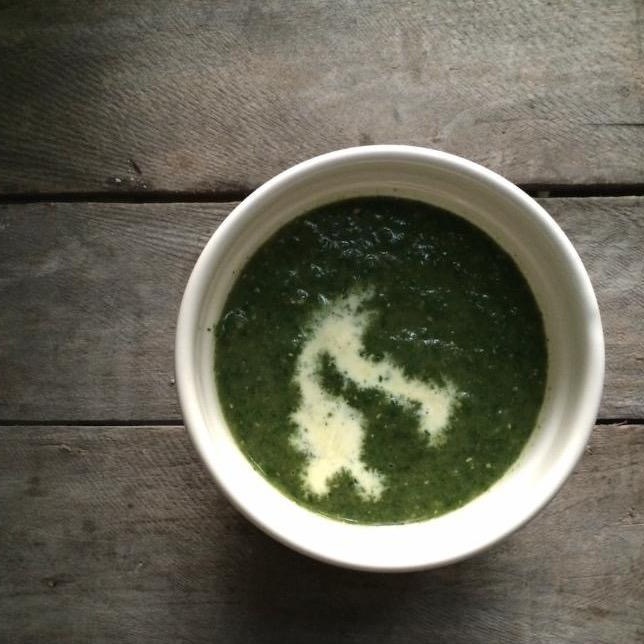 Has a very high smoke point, so great for the grill and stir fry dishes, and even sweet enough for making pesto. Zucchini: you might as well learn to love this insanely versatile veggie because we are all going to see a lot of it! It can really do anything-- shred it up and squeeze the water out to mix into almost anything-- quick breads and muffins, pancakes and meatloaf, egg dishes and pasta sauces. Or chop into fries, dust with oil, salt, pepper and parmesan and bake. One of our favorite ways to use it-- invest in a vegetable Spiralizer and turn it into Zoodles-- so delicious you'd never know you're having gluten free pasta! 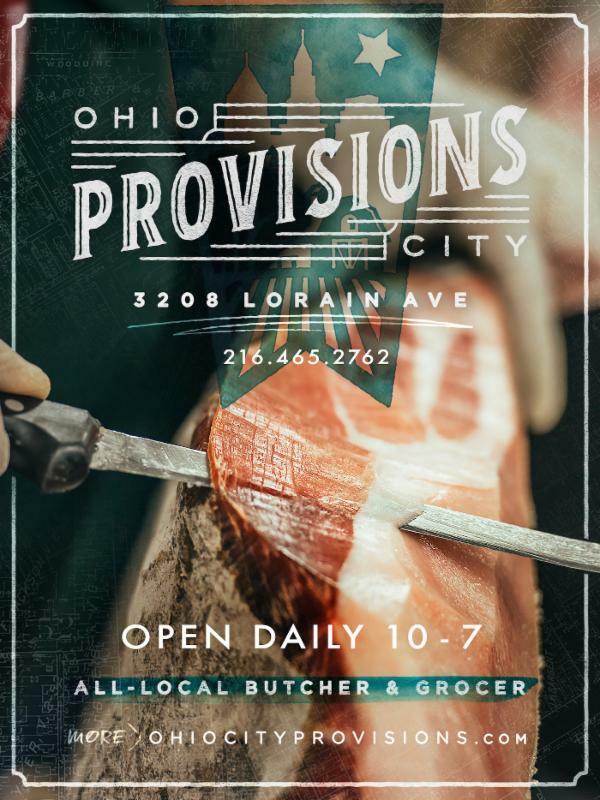 Pepperoni : Coming in the Large Omnivore Shares this week, Ohio City Provisions' 100% grassfed beef also contains house-smoked cayenne peppers for a hint of spice. 6 oz per package, sliced and ready to eat. Allergen: Contains dairy (dehydrated milk protein). Apple Butter: One pint of our sweet and slightly spiced apple butter from Wholesome Valley Farm is coming in the Large Vegetarian shares this week. Add to buttered toast, oatmeal, or dollop onto pancakes for a sweet brunch treat. 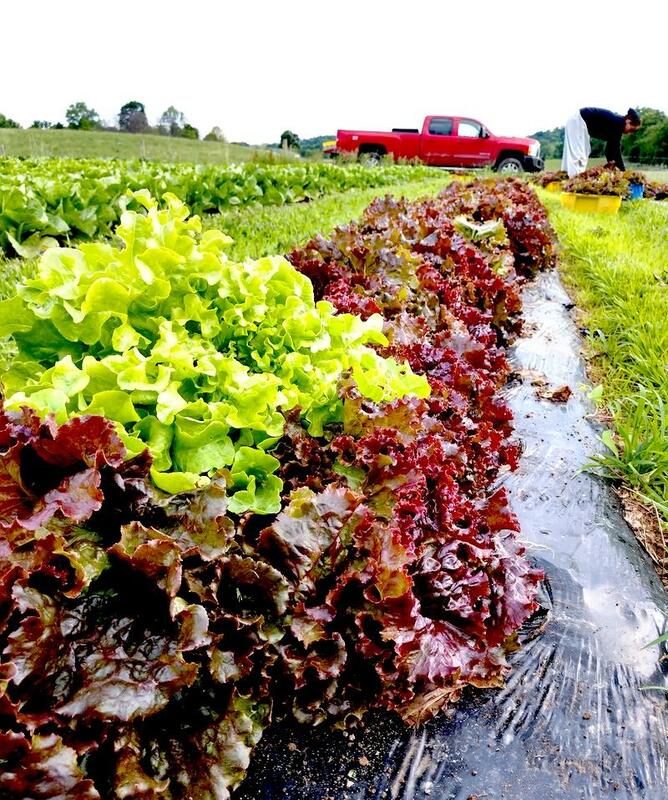 Getting ready to harvest the lettuce for your shares this week down at Wholesome Valley Farm. If you placed a Special Order, the only way your Greeters know is if you give us the heads up-- so when you're checking in, please tell your Greeter your last name so they can look up your account and get your bag, and also say, "And I have a Special Order." It's helpful if you can also bring the confirmation email you received just so the Greeter can double check it. If you're going to be taking a vacation at some point this summer and want to pause your share for the week, click here to follow these instructions . Just a reminder-- your credits are only available the week after your vacation is over and can only be used for purchasing extras going forward, not towards paying your subscription or paying off an existing balance. If there is still time in the week, you can go to any other stop to get your bag and you don't even need to let us know. Click here for the full list. 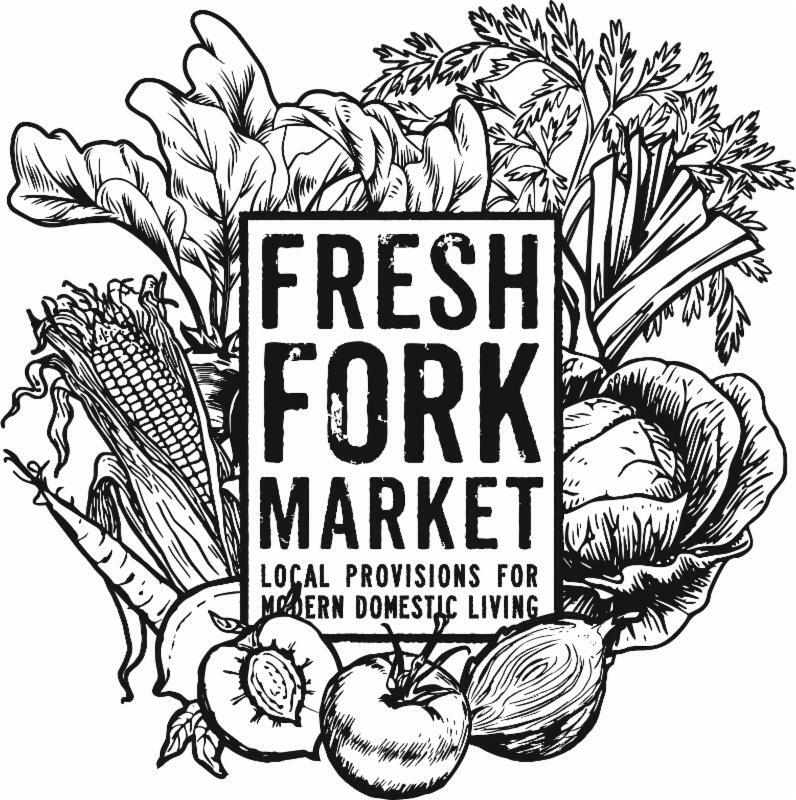 If you cannot get to any other stop or you have missed all the stops ( Tremont is the final stop of the week, on Saturdays from 10am to 2pm), we're sorry but we cannot refund you your bag: we've already paid the farmers for your food, picked it up and brought it to your stop. Best bet is to call a friend or neighbor to get it for you-- they can pick up at any stop that is the most convenient for them. If you're on the Monthly Payment Plan, it's now time to make your June Payment. You can log into your account here to view your balance, and either pay online with a credit card, or bring cash or check to your stop this week. If you pay with cash, please remember to ask your Greeter for a receipt. If you only just signed up and just made your May payment and need to spread your payments out, you can make your June payment next week as well. We'll be sending out a payment reminder next week. 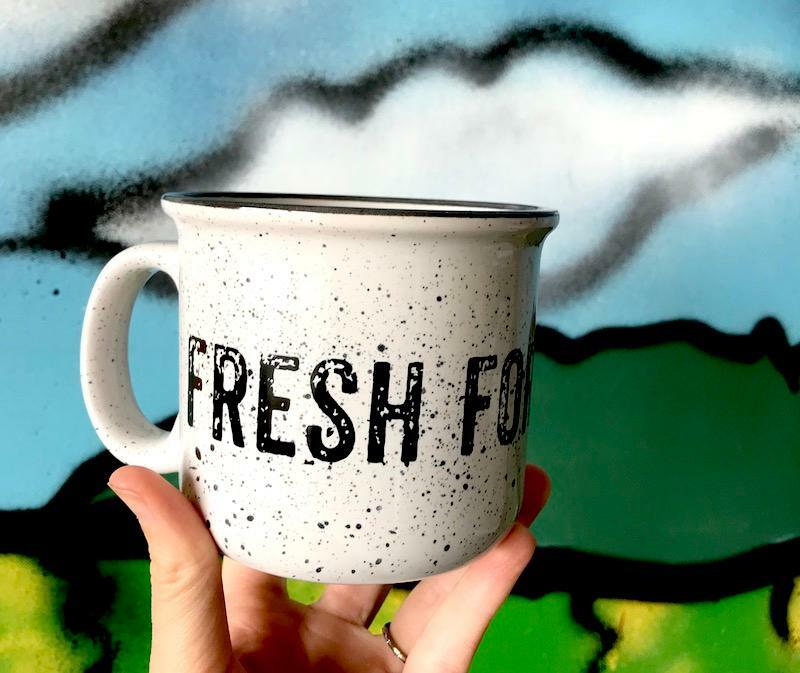 Brand new 15 oz campfire style ceramic mugs featuring "FRESH FORK MARKET" in wraparound splatter paint. Enjoy your morning cup of coffee in style! FFM on Pinterest, "Getting Healthy"